When you see a professional Consulting Hypnotist like myself, you are guided to bypass the critical factor so you can go beyond limiting beliefs that keep you stuck and unhappy and create new healthier beliefs that support you. Hypnosis cannot give you gifts and talents that you do not already possess but it CAN help you enhance your gifts and talents! Hypnosis can be used to resolve fears and phobias; bad experiences early in life, sad feelings, anxious feelings. It can be used to help you enhance your sports performance, improve your health, improve your confidence and public speaking abilities. 2. the establishment of acceptable selective thinking. The bypass of the critical factor simply means the release of limiting beliefs. For example, the use of hypnosis for anesthesia has been accepted by the American Medical Association since 1958. It is well established to be a fact that hypnosis is useful for creating anesthesia. In hypnosis, limiting beliefs can be bypassed, and hypnotic anesthesia can be quickly created. The establishment of acceptable selective thinking refers to the process of guiding someone into hypnosis by using a hypnotic induction. This creates the mental environment or state of mind that enables you to reject certain limiting beliefs that you have picked up in your everyday life, so that you can accept new more empowering options for living. The hypnotic state is an optimum state for making changes in your life. Check out these statistics on hypnosis. 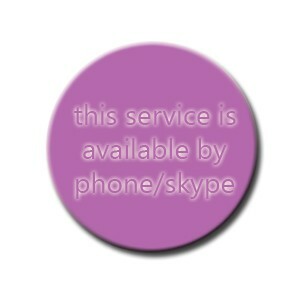 You can set up an appointment in person, via phone or skype. Self-hypnosis: You did it yourself when you were daydreaming and missed that turn, or as you stared into a fire. Hypnosis from another person or source: You have been hypnotized when you enjoyed a television program or movie. Hypnotic compounding of suggestion: You have followed hypnotic and post-hypnotic suggestions when you chose a product or service because you saw it repeatedly on television. Below is a list of some of the ways I can help you with hypnosis. Hypnosis sessions are generally 1 hour long; except for our first meeting which oftentimes runs 1.5 hrs. The first session generally runs longer due to the assessment that I do when we meet. The fee is $100/session. Many times more than one session is required to get the results desired so I offer a program of 4 sessions for $340 when you pre-pay and for quitting smoking I offer a program of 3 sessions for $240 when you pre-pay. Have you ever wondered if it is possible to experience child birth in a natural way? When you utilize hypnosis for natural childbirth, you will not be in a trance or asleep. What you will experience is similar to the daydreaming or focusing that occurs when you are engrossed in a book or a movie or staring into a fire. Hypnosis for Natural Childbirth training helps you learn to maintain a relaxed state so that your body can do what a woman's body is meant to do during birth. In the United States we have been "hypnotized" as a culture to expect that birthing is a medical event. In many other cultures women birth their baby at home or with a group of other women naturally. While I was in Bolivia, assisting at a Dominican mission there, we were called to a woman's house because she was birthing her baby and wanted a midwife. By the time we arrived she had already birthed her baby and was nursing him! She did it all by herself without any intervention and when I expressed my surprise, she laughed at me because she just didn't have the paradigm that birth is a medical event and found that idea to be very unnatural indeed. Hypnosis helps the birthing mother in a number of ways. The first is that when the mother is relaxed there is a healthy blood flow to the uterus. The uterus is mostly muscle and for the work-out of birthing needs a lot of blood. If a mother is fearful she goes into the fight or flight scenario; which means the blood does not flow to the uterus but to the big muscle groups in the legs and arms so that she can run or fight. When the uterus is bathed in blood like it is meant to be during birthing; it works comfortably and naturally. Additionally, a birthing mother can learn to create a numbing sensation and transfer this numbing feeling to any part of the body to assist in comfort during birthing. By using hypnosis for natural childbirth, you will be aware and in good spirits, totally relaxed, and fully in control. Because you are awake throughout your child's birth, you will be aware of your body's natural birthing energy. It is likely that your labor will be shortened as well because of your ability to be in control. Also, because you are calm there is less birth trauma for the baby which can help to make for a happier child and an adult who can follow his/her own path. You may have heard about HypnoBirthing on NBC's Dateline; while we will not be doing exactly HypnoBirthing it gives a lot of insight into what you can expect to experience with hypnosis for natural childbirth. This show followed the experiences of two women who each had a very easy and painless birth. Before their HypnoBirthing sessions, each of these women were not sure if they would be able to do the hypnosis. Most women have doubts that they will be able to achieve trance and have a peaceful birth. Yet most women are pleasantly surprised to find they "have what it takes" to achieve this goal. If you have doubts about your ability to have an easy birthing process, remember that these fears are a result of conditioning by our society. You and every woman were born to know how to experience birth, Your body already knows how to do this! Natural Childbirth is done in 3 sessions about 1 to 1.5 hours each session. The fee is $240 and includes all sessions and cds.